« Can Pennsylvania Emergency Room Medication Errors be Prevented? On average, 64 wrong site surgeries were reported each year from 2004 -2010 in Pennsylvania. While the state seems to be making progress in decreasing the number of wrong site surgeries, it is important to note that not one month has gone by without a wrong site surgery being reported. Thus, wrong site surgeries remain a risk for patients and a cause of concern in the Commonwealth. 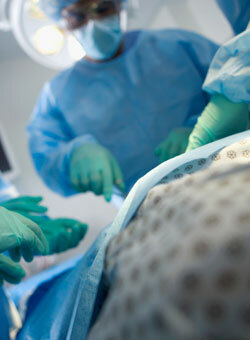 Wrong site surgery is often the result of medical negligence and can have significant consequences for victims. Those consequences often include further surgeries. If you have been the victim of a wrong site surgery in Pennsylvania then you may be entitled to a legal recovery. Please contact a Pennsylvania medical malpractice lawyer for more information about your rights. How Big a Problem are Wrong Site Surgeries in Pennsylvania? What Can Pennsylvania Doctors Learn From a Massachusetts Doctor?